Enviado por Sarah Uddin el Mié, 07/24/2013 - 09:47. CCHR have been working in the sector of WASH (Water, Sanitation, and Hygiene Education) with an objective on self-reliant community. 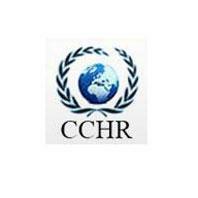 CCHR is an organization of scholars, researchers and social scientists working in interdisciplinary areas for the welfare and upliftment of people deprived of basic needs and facilities. Its focus is on monitoring environment, making investigations and executing remedial measures on issues closely linked to environmental health which, in turn, is related to drinking water, food, sanitation and hygiene. CCHR envisages fully protected water supply, total sanitation and high hygienic status to all by collaborating with government agencies and like-minded non-governmental and voluntary organizations at local, national and international levels.